Your Potential is Limitless With An Education. Achieve Success with the Power of Knowledge. 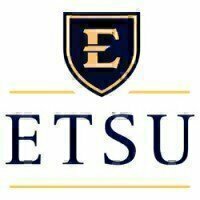 East Tennessee State University (ETSU) encompasses 11 colleges across 4 campuses, several satellite facilities, and a robust online presence. Located in beautiful northeast Tennessee, ETSU's main campus sits on 340 acres in the shadow of the Buffalo and Cherokee Mountains. It boasts the highest quality academic and athletic facilities, an extraordinary library and an observatory. ETSU offers over 140 degree programs ranging from nursing to computing to education and criminal justice. ETSU is a healthcare education hub and boasts medical, pharmacy, and nursing graduate and doctoral degree programs. ETSU supports over 600 military-affiliated students through their fully staffed Office of Veterans Affairs. The Military-Affiliated Student Resource Center (MARC) provides an exclusive study and social space for student veterans and family members with free printing, coffee, snacks and tutoring opportunities. ETSU’s Student Veterans of America chapter organizes community service and social events to benefit both student veterans and the campus community. ETSU is located directly across the street from the Mountain Home VA Medical Center, one of the highest-rated VA hospitals in the country. Hear first-hand why attending ETSU is life changing. Choosing the right school for your post-military education can be hard. There are multiple schools with great benefits...who knows what to choose! Now you can learn from someone else’s experience how their military skills helped, why they chose ETSU and what challenges they faced in the transition. Take advantage of East Tennessee State University's commitment to your service. 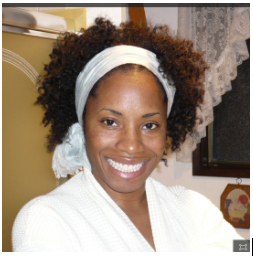 Request info now on how you can enroll!